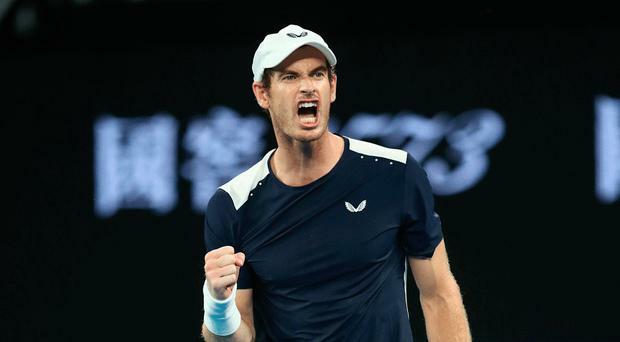 Andy Murray will put his "heart and soul" into trying to return to professional tennis, according to his mother Judy. Mother Judy said: "He is doing pretty well. It is not that long since he had the operation and time will tell. "Nobody knows how he is going to recover in the longer term. He is in a good place mentally and we just keep our fingers crossed. "But I tell you, if anybody can do it, he can, because he will put his heart and soul into it like he does with everything." • British No.2 Katie Boulter is one win away from the Indian Wells main draw after beating American Allie Kiick in qualifying. Boulter (22) won 7-5 5-7 6-2 in two hours and 19 minutes. The World No.85, who is seeded sixth, will face Switzerland's Viktorija Golubic in the second qualifying round. British No.3 Heather Watson (26) lost 6-2 6-7 (3-7) 6-4 to Italy's Sara Errani.